α-Synuclein (SNCA) is a substantive component of Lewy bodies, the pathological hallmark of Parkinson’s disease (PD). The discovery and subsequent derivation of its role in PD has led to a suprising but fruitful convergence of the fields of biochemistry and molecular genetics. In particular, the manipulation of the cell lines of a number of forms of familial PD has implicated SNCA in distinct and diverse biochemical pathways related to its pathogenesis. This current and rapidly evolving concept indicates PD is a disease in which interacting pathways of oxidative stress, mitochondrial dysfunction and impaired regulation of protein turnover interact to cause dopaminergic cell dysfunction and death. SNCA has a central role in these processes and manipulation of its expression, degradation and aggregation appear to be promising neuroprotective therapeutic targets. PD is a clinical diagnosis characterised by an asymetrical resting tremor, increased tone and bradykinesia. Anosmia, sleep disturbance, constipation and other premotor symptoms may precede this presentation by some years. Cognitive impairment is an early sign of PD and advanced disease is frequently accompanied by a dementia with or without visual hallucinations which overlaps clinically with dementia with Lewy bodies. It has a lifetime risk of 4–5 %, making it the second most common neurodegenerative disease after Alzheimer’s disease. Current demographic trends predict a doubling in the number of cases by 2050. It is caused in part by progressive dopaminergic degeneration predominately in the substantia nigra. Traditionally, this was characterized histologically by the presence of Lewy bodies although in recent years a number of familial forms of PD have been identified without them. α-synuclein (SNCA) is a small, highly acidic native unfolded protein molecule of unknown function. It is the principal component of Lewy bodies [7, 8, 9] and is localized in neuronal and glial cells of the substantia nigra, thalamus, neocortex and hippocampus. It is predominantly a cystolic protein which has been shown to disrupt directly mitochondrial morphology and to bind rapidly and specifically with mitochondrial membranes [11, 12, 13]. SNCA’s function is unclear. It appears to be particularly prone to rapid conformational change and has been implicated in a diverse range of roles including the ubiquitin–proteasome system, maintenance of synaptic functionality and regulation of oxidative stress [14, 15, 16, 17]. Dopamine release has been shown to be reduced in the presence of overexpressed wild-type and mutant A53T SNCA. The protein’s ability to modulate the activity of tyrosine hydroxylase suggests it may have a role in dopamine metabolism [18, 19]. Dopamine has been shown to bond covalently with SNCA and this compound leads to dopamine dependent cell toxicity [20, 21]. Mutant SNCA appears to aggregate more readily with dopamine compared to wild-type . Overexpression of mutant or wild-type SNCA leads to dose-dependent dopamine cell toxicity  Thus there is evidence to support an interaction direct or indirect, between SNCA and dopamine which enhances dopaminergic neuronal dysfunction. All three pathological SNCA mutations have been shown to cause dopaminergic toxicity in vitro and in vivo . Polymorphisms of SNCA have shown associations with sporadic PD [4, 5, 6] which have correlated with increased levels of plasma SNCA . Moreover, duplications in the REP1 transcription promoter region of the SNCA represent a risk factor for idiopathic PD [26, 27, 28]. Expansion of this region upregulates production of SNCA in mice suggesting that SNCA overproduction mediates the associated parkinsonian features . Whilst Lewy bodies seem to be indicative of sporadic PD, their appearance appears to be an early manifestation of pathogenesis which may occur in advance of the motor features of classical PD; although the extent of the correlation between Lewy bodies and preclinical PD is controversial [30, 31, 32]. Nitrated and phosphorylated forms of SNCA have been observed within Lewy bodies and SNCA can be made to undergo fibrillisation in vitro . Lewy pathology appears to be capable of spreading from neuron to neuron and there is some evidence to suggest that SNCA may propagate aggregation in a prion-like manner [34, 35, 36, 37]. Mutant SNCA appears to show either faster or slower aggregation dynamics than wild-type SNCA [38, 39] suggesting that the process of aggregation is related to SNCA-induced neurotoxicity. That said, some data suggest SNCA aggregates in a neuroprotective response to oxidative stress [40, 41] and the exact contribution of SNCA or indeed SNCA aggregation to dopaminergic cell toxicity in PD remains unclear. The observation in the 1980s that 1-methyl-4-phenyl-1, 2, 3, 6-tetrahydropyridine (MPTP) produced parkinsonism suggested that environmental agents might be involved in dopaminergic degeneration in PD [42, 43]. MPTP is a complex I inhibitor which may additionally generate free radicals including nitric oxide through its toxic metabolite 1-methyl 4-phenylpyridinium (MPP+) [44, 45]. Rotenone—a pesticide commonly used in the USA which has been shown to cause parkinsonism with SNCA aggregates in animal models—is also a potent complex I inhibitor. Exposure to both provides useful models for in vivo and in vitro study of parkinsonian degeneration [46, 47, 48]. Both agents induce cell apoptosis that can be blocked by ciclosporin . There is evidence that MPTP-induced mitochondrial inhibition may be mediated by an alteration of endoplasmic reticulum and mitochondrial calcium homeostasis and that SNCA has a role in its regulation. Endoplasmic reticulum stress has also been implicated in the formation of toxic synuclein oligomers [50, 51]. Cigarette smoking, which has consistently been associated with a reduced risk of PD, has been shown to influence complex I activity . Complex I inhibition is therefore a useful paradigm in dopaminergic degeneration . The question of whether these or other environmental insults may act as trigger events in PD has been raised. Although a unifying theory of PD as an unfolding consequence of one or multiple environmental insults leading to oxidative stress and mitochondrial inhibition is attractive, there is little evidence to support it. Although statistically significant associations between PD and environmental toxins have been demonstrated, the odds ratios are at best modest and imply a weak influence only, compared to age which is epidemiologically by far the most significant risk factor for PD [54, 55, 56]. Complex I inhibitors have been shown to interact with SNCA. Normal expression but not overexpression of wild-type SNCA protects against oxidative stress . In comparison to wild-type, mutant SNCA potentiates rotenone induced cell toxicity [58, 59, 60]. Hence environmental toxins can be linked to the pathogenesis of parkinsonism and extrinsic mediators of oxidative stress would seem likely to be one of many contributing factors in its pathogenesis. Age has consistently been found to be the greatest risk factor for the development of PD [54, 55]. Lewy body formation occurs in the absence of parkinsonian features in 8–17 % of over 60 year olds [61, 62, 63]; however, the extent of the correlation is controversial. 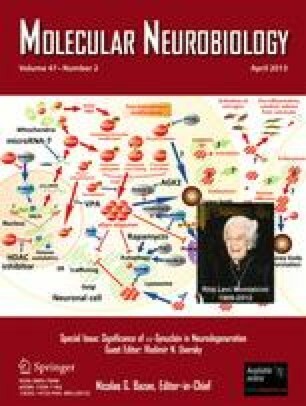 Broadly, Lewy bodies are seen as a precursor marker of PD, although it has been suggested that some cases may instead be indicative of preclinical dementia with Lewy bodies [30, 31, 32]. A distinct pattern of dopaminergic cell loss has been demonstrated in the histology of PD brains compared to aged controls [64, 65, 66, 67]. Moreover, expression of SNCA increases with age in normal primate brains. This occurs in parallel to decreased expression of tyrosine hydroxylase, a surrogate marker of dopaminergic neurons . These findings and others have led parkinsonian degeneration to be hypothesised as an accelerated variant of the normal process of ageing, with inadequate degradation of mutant or overexpressed levels of wild-type SNCA playing a central role [69, 70]. SNCA is degraded predominantly by chaperone-mediated autophagy (CMA). There is evidence of less significant disposal of SNCA by proteasomal and alternative autophagal mechanisms intracellularly [71, 72]. CMA is a form of autophagy dependent on the presence of heat shock protein 70 (Hsp70) to chaperone protein transfer into the lysosome via lysosome-associated membrane protein 2 (LAMP2A). Here, it is engulfed into the matrix with the assistance of another molecular chaperone, lysosomal hsc73 (lys hsc73). Hsp70 is upregulated in response to ischaemia and other stressors  and has been shown to sequester SNCA in an adenosine triphosphate (ATP)-independent manner [74, 75], impair fibrillisation of SNCA , reduce SNCA aggregates in vivo and protect against SNCA toxicity in vitro [75, 77]. CMA differs from other forms of autophagy in that it is not dependent on vesicle formation or altered membrane potential . Impaired CMA through downregulation of LAMP2A proteins slows down SNCA degradation in wild-type SNCA neuroblastoma cell lines and may induce enhanced macroautophagy. Markers of CMA are reduced in PD brains  whilst A53T mutant SNCA and dopamine-modified SNCA have been shown to inhibit CMA causing cell toxicity [79, 80]. Interestingly, CMA and other types autophagy have been identified as significant mediators of cell ageing and this resonates with the observation that age is a risk factor for sporadic PD. Cellular dependence on CMA as the preferred mechanism of SNCA degradation has aroused interest in CMA as a potential target susceptible to upregulation. Neuronal and glial cells contain a network of mitochondria propagated along neuronal axons with maximal density at the perinuclear region. The cellular function of eukaryotic cells is dependent on an abundant and dynamic supply of ATP supplied by a healthy and productive pool of mitochondria. Neurons are particularly dependent upon oxidative phosphorylation for their function including the dynamic process of synaptic remodeling. Defective mitochondria can result from defective mitochondrial DNA (mtDNA), nuclear mutations of mitochondrial proteins or following external metabolic insults. These factors in isolation or in combination will reduce mitochondrial membrane potential and (if unchecked) lead to cell apoptosis . Quality control and exchange of mtDNA within the mitochondrial pool are regulated through a constant and dynamic process of fission, fusion and autophagic destruction (mitophagy) with subsequent lysosomal degradation. The importance of this mechanism of quality control is emphasised by the observation that fusion/fission-deficient mitochondria display a loss of directed movement and are swollen, aggregated and unable to migrate into neurites [96, 97]. Moreover, manipulation of fusion and fission machinery can lead to spontaneous generation of mtDNA mutations associated with hereditary mitochondrial disease, whilst impairment of proper fusion/fission dynamics is directly implicated in a diverse range of neurodegenerative diseases [96, 98]. Mitophagy is a selective process in which damaged or incompetent mitochondria are isolated and removed. This is independent of the process of bulk autophagy which occurs in response to a major cellular insult [99, 100]. In contrast, defective mitochondria in healthy cells are selectively removed. This process appears to be mediated by impaired mitochondrial fusion and can be halted by impairment of fission machinery [99, 101]. SNCA has been shown to cause direct mitochondrial toxicity. Overexpression of wild-type SNCA in GT-17 cells leads to giant mitochondria containing laminated bodies, autophagosomes and decreased MTT levels . A53T transgenic mice develop dysmorphic mitochondria with inclusions and damaged mitochondrial DNA . In vitro culture of Caenorhabditis elegans overexpressing SNCA leads to fragmented mitochondria with inhibition of mitochondrial membrane fusion. Conversely, siRNA knock down of SNCA results in elongated mitochondria . In primary cell culture of rat cortical neurons overexpressing wild-type SNCA, increased expression of autophagial markers and co-localisation of mitochondria with autophagosomes was demonstrated. This effect was amplified in cells carrying the A53T mutation . A53T has also been shown to localise to the mitochondrial membrane, result in complex I inhibition and cause an increase in mitochondrial autophagy . Thus it is clear that SNCA not only interacts directly with and damages mitochondria, but also it appears to do so through interference with mitophagy and mitochondrial fusion. Mitochondrial DNA codes for 13 proteins, seven of which are essential components of the network of protein complexes which are responsible for the production of ATP. Substrate proteins for the other cellular functions performed by mitochondria must therefore be imported—recent proteomic studies suggest these number some 1,500 nuclear-encoded proteins [107, 108]. SNCA has been identified predominately in the mitochondrial outer membrane although under favourable energy and pH conditions it appears to migrate to the inner membrane [109, 110, 111, 112]. The interaction between SNCA and mitochondrial membranes appears to be rapid, specific and independent of changes in membrane potential. There is some evidence that membrane contact causes a change of the SNCA conformation from a closed to an open state . Once incorporated into the mitochondria, SNCA leads to fragmented, aggregated mitochondria. Interestingly, this finding is duplicated in the other SNCA mutations with the exception of A30P SNCA which does not cause such morphological abnormalities and does not interact with the mitochondrial membrane [13, 113]. Imported SNCA has been shown to cause mitochondrial complex I inhibition at low concentrations in a dose-dependent fashion [107, 109]. Import of extracellular proteins is mediated by a series of mitochondrial protein complexes which recognise targeting signals [114, 115, 116]. The location of the potential targeting sequence of SNCA remains unclear although the N terminus of the SNCA molecule appears to be a likely candidate . Migration into the mitochondria is energy dependent and appears to be mediated through translocase of the outer membrane (TOM) 40 protein located in the mitochondrial extracellular membrane [117, 118]. Parkin encodes E3 ubiquitin–protein ligase of unknown function associated with the endoplasmic reticulum, golgi apparatus, synaptic vesicles and mitochondria [109, 113, 116]. The autosomal recessive forms of familial juvenile onset PD caused by Parkin mutations lead to PD without Lewy body formation [119, 120]. Parkin also localizes to Lewy bodies in sporadic PD and dementia with Lewy bodies . Homozygous alleles of Parkin cause early onset familial PD and heterozygous alleles may increase the risk of development of late-onset sporadic PD [122, 123, 124, 125]. The lack of SNCA pathology in Parkin-mediated mitochondrial dysfunction and Parkin’s presence in (SNCA-mediated) sporadic PD implicates it in the dynamic processes of mitochondrial regulation and selection. This is confirmed by the observation that mutations of Parkin and PINK1 result in accumulation of defective mitochondria [126, 127]. Although the exact mechanism of its involvement in the mitochondrial regulation remains unclear, Parkin has been shown to arrest cell apoptosis through cytochrome C inhibition . Other mechanisms have also been proposed including a number that are independent of E3 ligase activity (reviewed in further detail in ). Parkin knockout mice exhibit abnormal motor function but do not display dopaminergic neuronal degeneration in the substantia nigra [130, 131]; however, reduced respiratory capacity and increased susceptability to oxidative damage which results in dopaminergic neuronal damage have been demonstrated . Functional interactions between mutant SNCA and Parkin have been observed in vitro—of particular interest is the fact that toxicity of mutant SNCA can be arrested by the E3 ligase activity of Parkin . SNCA aggregates causing oxidative stress could represent the neuronal insult needed to overcome impaired Parkin-mediated mitochondrial quality control, leading to DA cell death. Accordingly, Parkin may not only represent a potential genetic marker of predisposition to PD but a therapeutic target susceptible to upregulation. PTEN-induced putative kinase 1 mutations (PINK1) encode a widely expressed 63 kDa relatively insoluble protein which incorporates an 8-kDa amino terminal mitochondrial targeting sequence located primarily near the mitochondrial inner membrane. Mutations of PINK1 cause an autosomal recessive form of PD. A number of pathological homozygous and heterozygous variants have been identified, leading to Parkinsonian features of varying type and severity with histological evidence of nigrostriatal cell loss [134, 135]. Overexpression of wild-type PINK1 protects against proteasome-induced cell damage and there is evidence that PINK1 overexpression may mediate protection against some features of SNCA-mediated cell damage . Recent studies indicate that PINK1 and Parkin interact in a common pathway implicit in mitochondrial autophagy. Parkin overexpression can rescue mutant PINK1 phenotypes but not the other way round suggesting that Parkin functions downstream of PINK1 . Assuming that Parkin overexpression replaces the deficit induced by PINK1 deficiency, it would seem logical that Parkin is a mediator of PINK1 mitoprotection . This is borne out with the finding that co-expression of PINK1, Parkin or DJ1 rescues mitochondrial damage caused by overexpressed A53T SNCA in vitro, an effect which is not duplicated by the 9309D mutation in PINK1 . DJ1 is a cystolic and mitochondrial protein expressed in the peripheral tissues and brain. It is primarily located inner membrane space and matrix although DJ1 has been shown to translocate to the mitochondrial outer membrane in response to oxidative stress . Mutations in DJ1 are a rare cause of autosomal recessive PD . Downregulation of DJ1 may influence dopaminergic neuronal activity in the substantia nigra in a specific manner through modulation of uncoupling protein function and calcium signaling . The preclinical course of PD may last several years and interruption of dopaminergic cell damage by SNCA at an early stage as possible would likely offer the best chance of preventing the development of PD. SNCA and other markers of PD pathology have been proposed as targets for screening in premotor PD. SNCA and DJ1 have been detected in human saliva although significant differences in levels were not found in PD patients compared with controls . DJ-1 appears to be present in the serum although correlation with parkinsonian features appear to be poor [142, 143]. Although early data correlating levels of cerebrospinal spinal fluid (CSF) SNCA and DJ-1 with PD were conflicting, recent studies have demonstrated promising results which indicate that CSF SNCA and DJ-1 may predict PD with a reasonable degree of sensitivity and specificity [144, 145, 146, 147]. There is also interest in colonic and olfactory bulb biopsies as a means of` early histological diagnosis of premotor PD, although interpretation of the finding of Lewy pathology in these sites is controversial [148, 149, 150]. It seems likely that the practical use of any screening technology would be most useful in those with mild premotor symptoms or even asymptomatic PD: whether observed correlations are preserved in these groups is unclear. Similarly, the practicality, safety and cost-effectiveness of using invasive procedures to screen for PD remain to be seen. Whilst the prospect of neuroprotective therapeutics in PD is some years away the rapidly evolving understanding of the mechanisms underlying dopaminergic degeneration in PD has focused attention on a number of therapeutic targets [151, 152]. Downregulation of SNCA either by modifying its transcription or reducing expression post translationally would seem a promising area for future development [153, 154, 155, 156]. However, this approach may be something of a blunt instrument as SNCA’s role in the dynamics of normal neuronal function has not been fully established. SNCA may to some extent actually mediate a dose-dependent neuroprotective effect, and some data suggest that post translational SNCA depletion may actually cause neurotoxicity . That said, the observation that SNCA knockout mice appear not to display hallmarks of neuronal damage and have a reduced susceptibility to neurotoxicity is reassuring . A more nuanced approach may be to target the chaperone mediated autophagy system that is primarily responsible for the disposal of intracellular SNCA. SNCA’s prion like characteristics have also aroused interest in SNCA as a potential therapeutic target. If the observation that Lewy pathology is propagated from PD brains to fetal stem cell implants is mediated by the transfer of SNCA from cell to cell, sequestering SNCA may halt its progression. Immunization with the SNCA antigen of transgenic PD mice expressing SNCA appears to show slowed PD development which may be due to antibody binding intracellularly inhibiting transcellular spread . The convergence of the fields of molecular genetics and biochemistry in PD have allowed progressive elucidation of the mechanisms of familial PD phenotypes from protein translation, through impaired intracellular function to their histological sequelae. The model that is evolving is complex and multifaceted and it is clear that a range of mechanisms are implicated in its pathogenesis . Although its precise role in the routine maintenance of neuronal cell function is unclear, SNCA appears to be a principal (but not the sole) ingredient of the complex biochemical map of PD that is developing. Overexpression, mutation and impaired degradation of SNCA all give rise to parkinsonism or an increased predisposition to sporadic PD. It has been shown to be imported directly into the mitochondrial outer membrane and to interact with complex I, deficiency of which in PD brain provided the first link to mitochondrial dysfunction [161, 162]. Manipulation of neuronal SNCA levels presents a promising target for therapeutic interventions mediating neuroprotection against PD progression. The authors’ work described in this manuscript has been supported in part by the Wellcome Trust/MRC Joint Call in Neurodegeneration award (WT089698), Parkinson’s UK and the Kattan Trust.